It has been a little while since I have shared a one pot meal, and I really love one pot meals. They are perfect for busy weeknights. And, with school winding down for both me and my kids, we have had lots of busy weeknights. 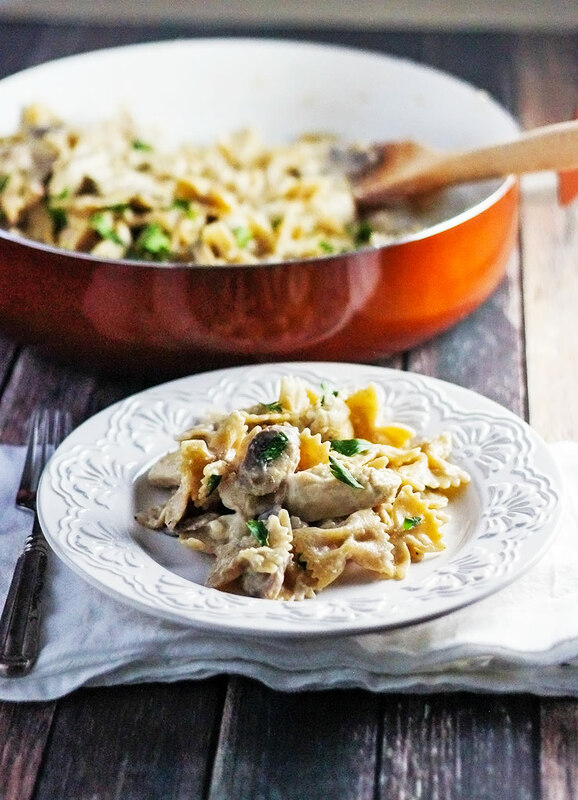 This Creamy Chicken and Mushroom pasta is not only delicious, but I had it ready to eat, on the table, and already photographed in under an hour. You can’t beat that! 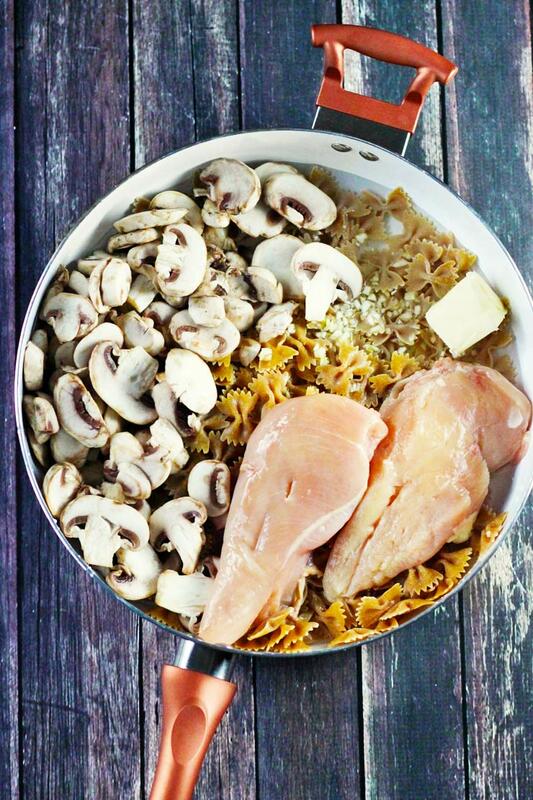 Place chicken, pasta, water, mushrooms, garlic, and butter in a very large skillet. Bring to a boil over high heat. Reduce heat to medium and cook stirring frequently for 10 minutes. As the chicken cooks, break it up into bite sized pieces with a wooden spoon. Alternately, you can remove it from the skillet after it is cooked, chop it, and then return it to the skillet. 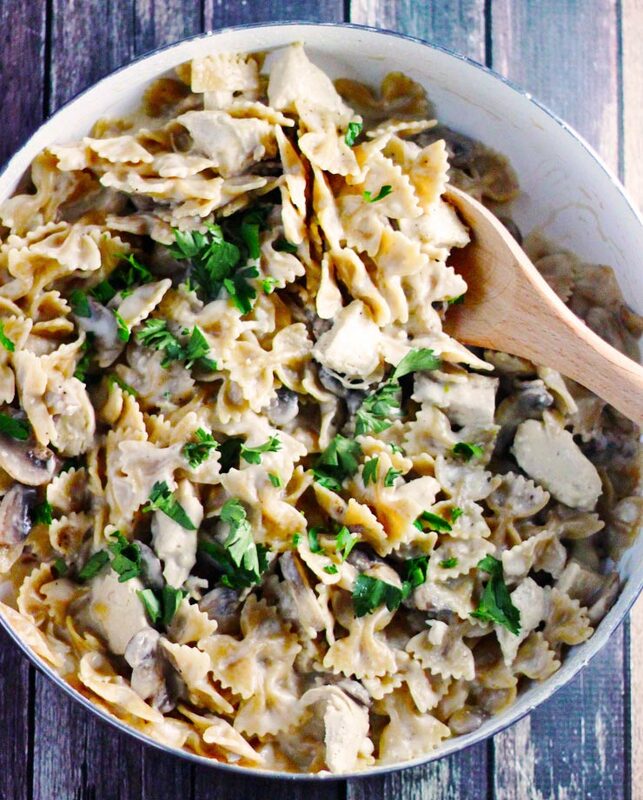 Stir in heavy cream and continue cooking until chicken is cooked through and pasta is tender. Stir in Parmesan, stirring constantly until melted and well combined.